***celestron-44102-1 .shtml***The Celestron 44102 simplifies the tricky decision of choosing an entry-level microscope. There are many options for low-priced models, but this Celestron biological microscope has them all beat. Even though it's designed for beginners, it still has many great features that can make the microscopic world blossom to life before the user’s eyes. 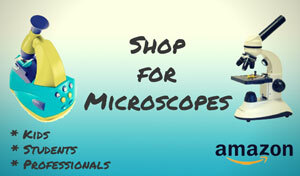 This is a great microscope for beginners for a few different reasons. At around $120, the price certainly makes it an affordable option. It's also a sturdy unit that can last a long time and hold up against any user, thanks to the metal body and thick dust cover. Combine that with good optics and ease of use, and you have an educational yet fun product that's perfect for the budding scientist. The Celestron 44102 has an all-metal body, which makes it very sturdy. It stays where the user puts it without tilting, a nice touch if you're buying it for an excited youngster. However it is still light and compact enough to move around as needed. This Celestron biological microscope boasts magnification powers of up to 400x, and the optics are excellent despite its low price range. The customer has to install the three objectives and the eyepiece once they get it out of the box, but this is very simple for even the handy man (or woman!) impaired. One of the nicest accessories is that this model comes with five prepared slides, so the user can begin exploring right away. The typical slide combination is intestine, honeybee mouthparts, corn stem, year tilia stem, and a winter jasmine leaf. 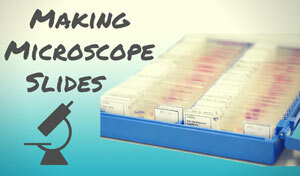 The slides are well prepared and put the microscopic world into the fingertips of the user. The biggest issue with the Celestron 44102 is that there isn't a built-in electric light source. The 50mm mirror does work well for catching natural light, but users may want to invest in an artificial light source for when dim rooms or when the sun just doesn’t want to come out. The Celestron 44102 is reasonably priced, but still has the quality that one would expect from the Celestron name. Although it may lack some of the more technologically advanced features, the entry-level user will probably not miss them. 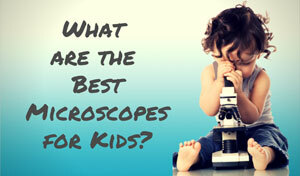 This little microscope is a great way to foster a love of science. 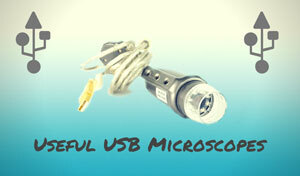 Recommended for: This Celestron biological microscope is an entry-level model. 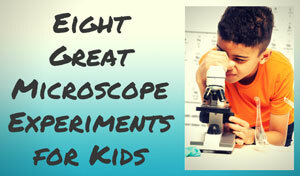 It is best suited for young, budding scientists or inexperienced, curious adults. Serious scientists or hobbyists may be disappointed in its abilities, but the average user will be very pleased with its performance. 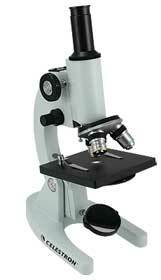 The Celestron 44102 400x Power laboratory biological microscope can be affordably purchased from Amazon.